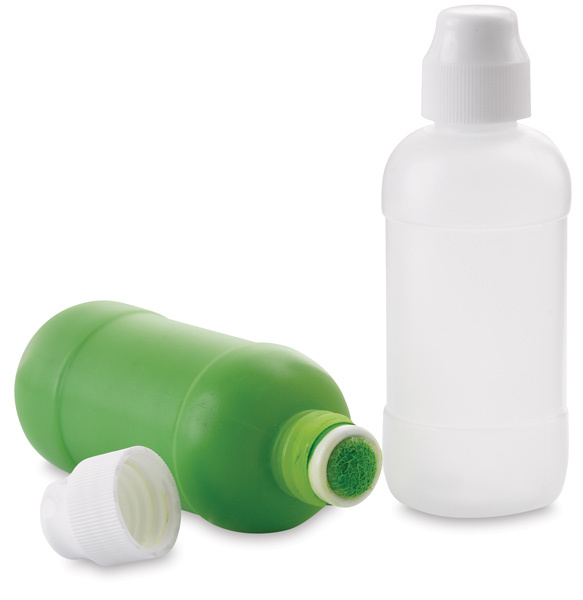 This bottle's unique design and special tip help you paint without brushes or mess. Just fill it with tempera paint or liquid watercolors and you're ready to create! These 2 oz (59 ml) bottles have pressure sensitive valves which ensure they won't spray when squeezed. Made in the USA.